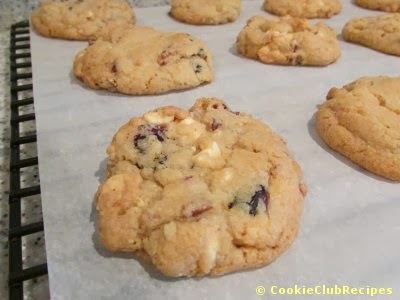 This is a great Christmas cookie! 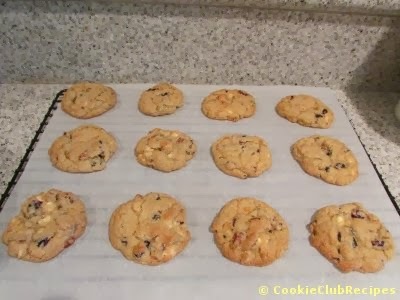 Editor's Note: We baked one dozen with parchment paper and the rest with a greased baking sheet. 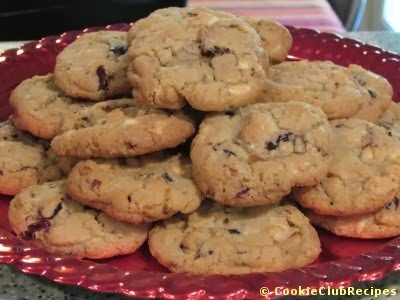 All the cookies came out the same size and height, and, crisp on the outside, chewy on the inside. 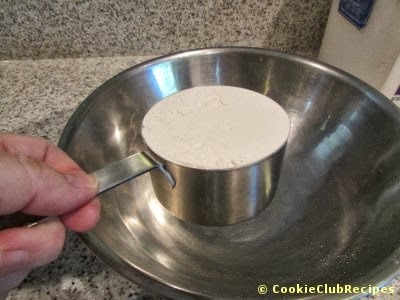 In small bowl, combine flour and baking soda. 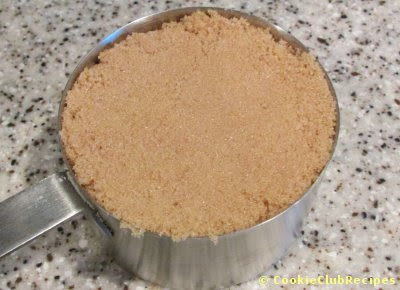 In large bowl, beat butter, brown sugar and white sugar until smooth. 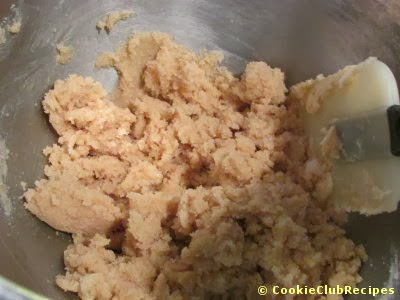 Add egg and vanilla (or almond) extract. 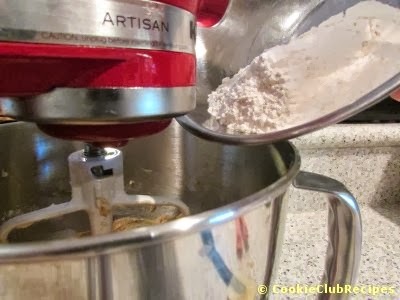 Editor's Note: We chose almond extract, perfect for these holiday cookies! 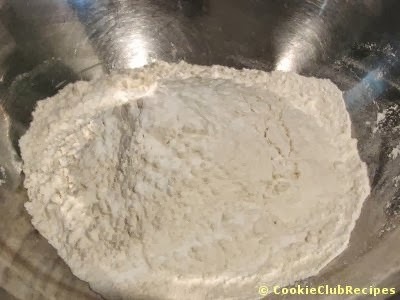 Slowly stir the flour mixture into the sugar mixture. 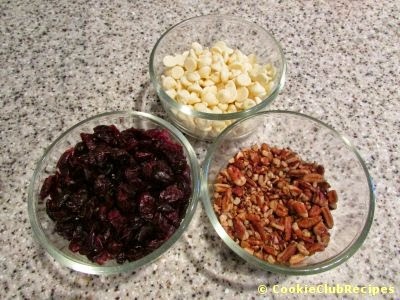 Mix in chips, cranberries and nuts. 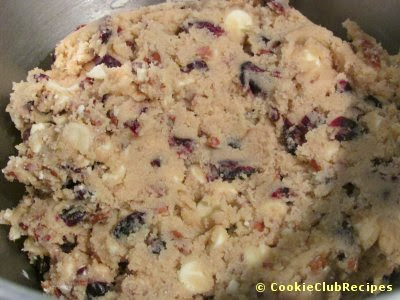 Editor's Note: This cookie dough is so pretty, you could even freeze it in nice containers and give them out as Christmas gifts (with baking instructions). Since this recipe makes 3 dozen cookies, you could divide the dough into thirds and make 3 gifts. 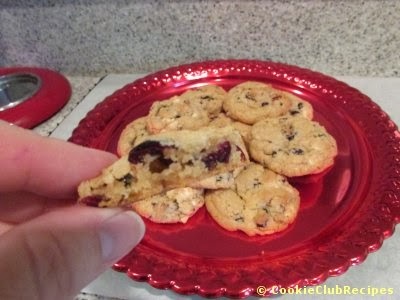 Drop onto prepared cookie sheets, 1-inch apart. Bake 9 - 12 minutes. 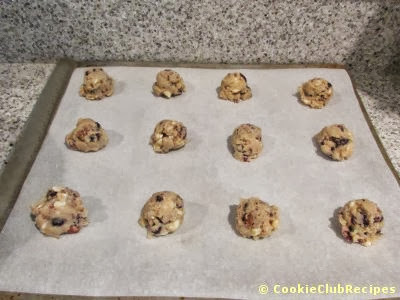 Allow cookies to cool 1 minute on cookie sheets and transfer to wire racks.